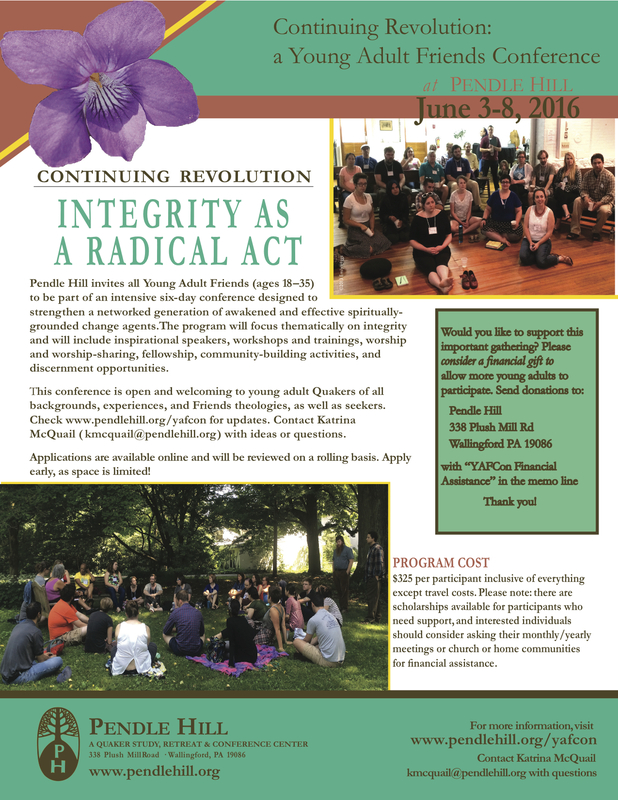 The Continuing Revolution conference series is an annual social justice conference for young adult Quakers (18-35) every summer at Pendle Hill. The conference is a six day, intensive training-oriented program designed around one thematic issue that changes year to year. This year’s conference will be centered around the theme of integrity as a radical act. We are working with that in its most expansive capacity, with all sorts of workshops on wholeness, identity, accountability, interconnectedness, truth telling, letting our lives speak, moving from ideas to action and much much more. Save the date: June 3-8, 2016! A preliminary schedule is available here, and there is a poster to share with your networks and community. Please encourage young adult Friends and seekers to apply! Though the conference is already significantly subsidized by Pendle Hill, there is some financial support available to make the conference as accessible as possible. From Katrina McQuail, Conference Coordinator, and CYM Young Adult Friend. 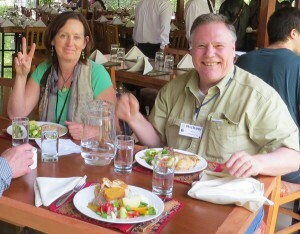 Allow Christina Tellez and me, Steve Fick, to share the powerful experiences we had at the FWCC World Plenary, in Pisac, Peru, as we reflect in our blog on many aspects of the conference. The Plenary brought 350 Quakers from all around the globe, and from many languages, traditions and theologies. Although our blog is completed, those nine days will continue to affect us for many years. Click HERE to explore the blog. My experience at the FWCC World Plenary is one that will have lasting impacts on my life. 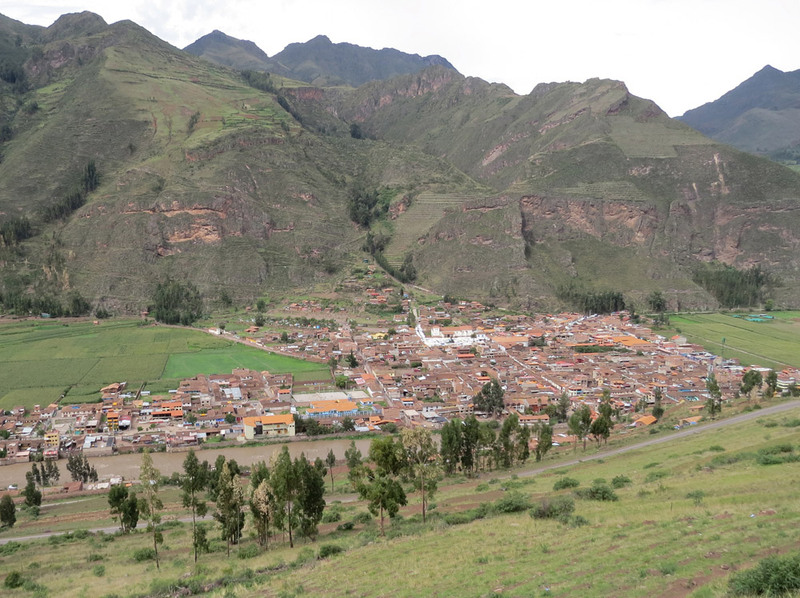 In the past week since leaving Pisac, I have been going through a transition period in which I have just begun to process what I learnt and experienced at the plenary. This processing will continue for a long time, perhaps even popping up in contexts not seemingly directly related to the Quaker world. I look forward to this. The last night and day of the plenary were intense with emotion and movement. This type of gathering encourages deep bonds to be formed quickly. Connections are formed that can last over continents and time; a light is ignited. There are two last scenes from my experience of the plenary that I want to share…. It was Tuesday, the last full day of the plenary, and I was restless. I had been part of a beautiful small worship group in the early morning, over breakfast I had a wonderful conversation with a Kenyan Friend who works as a nurse in a rural health clinic, there had been a light-filled worship led by Friends from West African countries, a productive FWCC Business Meeting, and a Section of the Americas meeting. I had been soaking it all in all week, and this day was especially full of new information and rich learning. I took a moment to myself to let the events of the week and this day sink in. 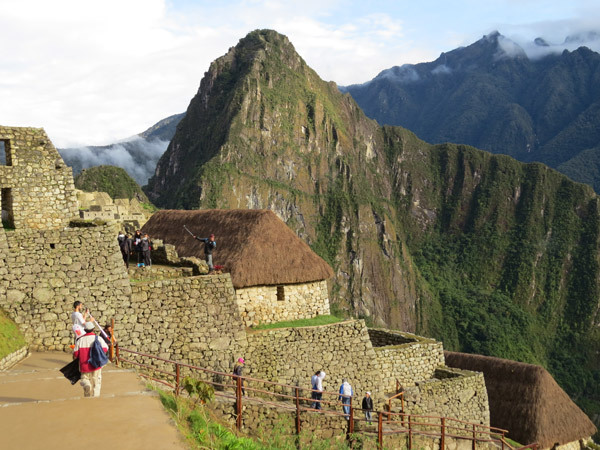 Wandering up the mountain road behind the Royal Inca Hotel, I passed houses, steep little paths between eucalyptus trees, dogs that curiously pointed their noses in my direction. I happened upon a grassy hill overlooking the valley where we had been meeting. I was struck by the sensation that we had been in a cradle all week. 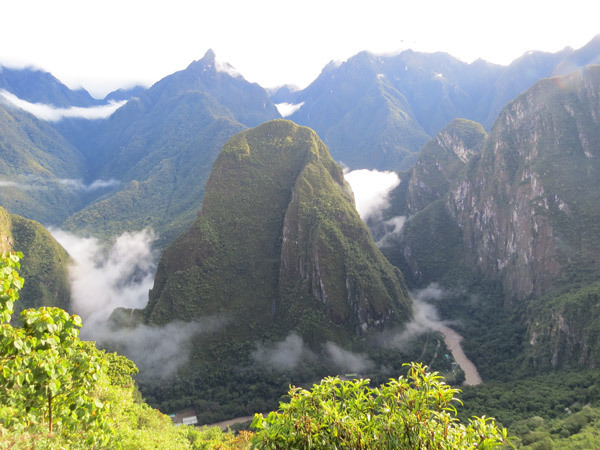 These cathedral-like mountains towered above us, at once heralds and protective shepherds. I snuggled myself into one of the nooks in the hill and lay back, letting myself sink into these sacred mountains. I felt a deep sensation of being held. While the World Plenary had to do a lot with learning about new information, and meeting beautiful new people, it also confirmed things I already knew. It brought me closer to myself. It was an opportunity to expand outward and inward. 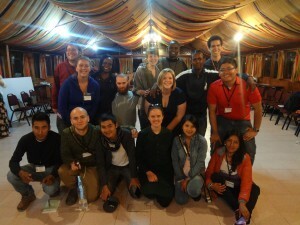 This sensation of being held continued…..
Young Friends gathered on the last night of the plenary to carry on our discernment of our current needs and how to address these. Out of worship came a sense that we should form a committee (yes, a chuckle might be in order here) that would be composed of Young Friends from all of the FWCC Sections. This world committee would find out more about the challenges and needs faced by Young Friends in each Section and work to strengthen intra- and inter-Section bonds so as to address these. This committee would work for the present and future of Quakerism. We separated into the four FWCC Sections (The America, Europe and the Middle East, Africa, Asia and the Pacific) and out of worship, named people we thought would serve well on this committee. I was honoured to be one of the sixteen Young Friends from across the Section to be named and feel called to this work. The sixteen of us sat in a smaller circle enclosed within the larger one of more than 60 other Young Friends. We held hands and prayed. Prayed for the work we are going to do together, for all of the Young Friends who were not there with us, for the present and future of Quakerism. Friends from the enclosing circle slowly came and lay their hands on us, sharing their light, energy, hopes. I felt a deep upwelling of joy and light. 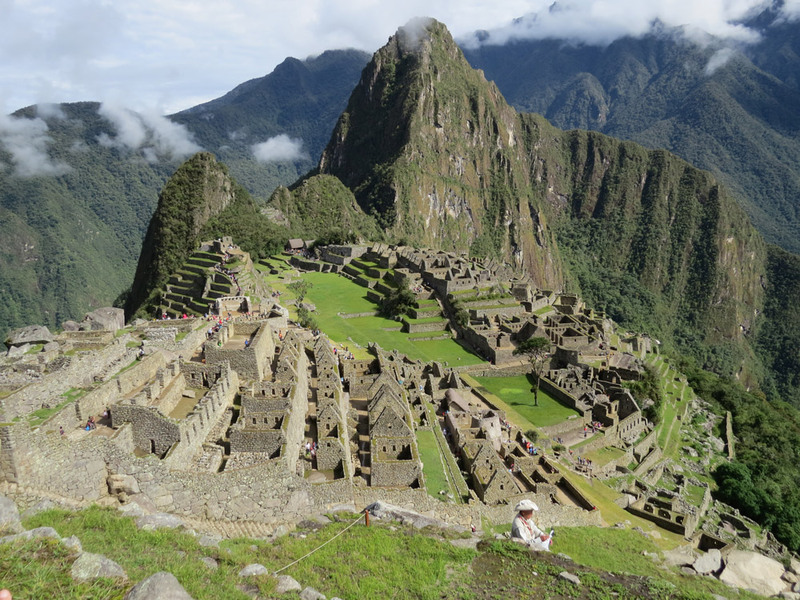 I felt that same sensation of being held that I had up on that sacred mountain. Thank you to those who were holding us in the light, to those who supported us in ways immeasurable, and those who will continue to support us in this work. I look forward to what is to come. To living the transformation. To living adventurously. Leading up to the conference, my thoughts were occupied with how I might best bring the experience of the conference back to Friends in Canada. As I settled into the conference, however, I realized the equal importance of what Christina and I were bringing to the conference–our unique perspectives as Canadians, nurtured in our own monthly and yearly meetings. Through no malice or intentional neglect, it can be easy for Canadian Quakers to sometimes be lumped together with overshadowed by the large number of American Quakers. Our presence, nonetheless, was obviously valued and constantly appreciated. The theme of the open heart carried forward from the beginning to the end of the conference. In the spoken and sung ministry, in the silence, in the dinner conversations and the greetings on the sidewalks, love was palpable as a powerful wind blowing through us all. I left with many dear friends–old and new–from all around the globe. I grew in my appreciation of our Quaker traditions and what it means to be a Friend, in all the various forms in which it manifests itself. As I said in a previous blog post, my own theology, which tends to be Universalist rather than Christocentric, did not move closer towards that of my Evangelical Friends, for example. In fact, many of my existing beliefs were confirmed and deepened. At the same time, I have always considered myself a devout disciple of Jesus, and I loved hearing the Biblical accounts of his revolutionary message. I am was reminded of CYM’s Consultation and Renewal recommendation about acknowledging our Christian roots and the important of making sure Christocentric Friends feel welcome, loved and heard. 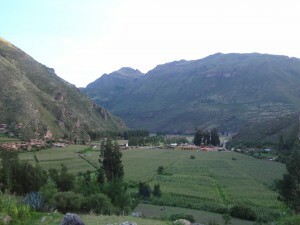 My sense of God’s presence was heightened through physical grandeur of the Sacred Valley and the geniality of its people. 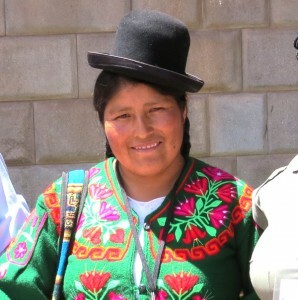 In spite of the widespread poverty, compared to other places I have visited the indigenous Peruvians and Bolivians carry themselves with a sense of pride and beauty in manner and dress. At the same time, I was constantly reminded of the unthinkable violence and brutality of the Spanish conquest and its relentless quest to enrich the invaders and destroy any traces of the pre-existing civilizations. Thank you again, Friends, for supporting Christina and me to attend the conference.